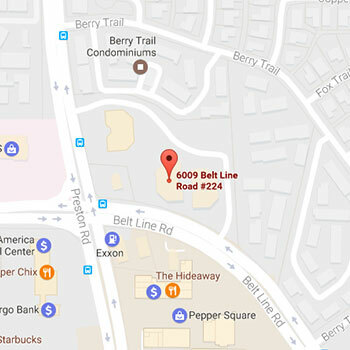 Proudly serving Dallas and the surrounding area. Many factors can contribute to a less-than-optimum dental condition, some of which are poor oral hygiene, neglecting to visit the dentist for a prolonged period of time, illness or injuries. If you are unhappy with your smile, are experiencing pain or you are having difficulty chewing due to decayed or damaged teeth, you don’t have to despair. 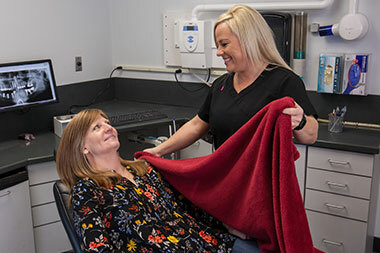 Dr. Rodriguez and Dr. Langley perform full-mouth rehabilitation treatment that can restore your entire mouth to full health, function and beauty. As prosthodontists, they have received extensive training in the restoration of broken-down and missing teeth. Even if your case is complex, our doctors can bring your smile back to full health, so that you will once again be able to chew, live without pain and smile with confidence! 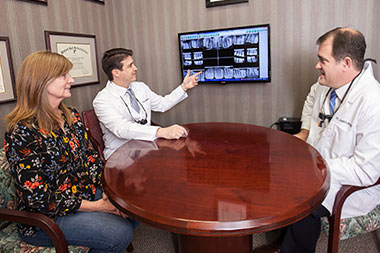 Dr. Rodriguez and Dr. Langley are experts in the planning and execution of comprehensive, full-mouth treatment. 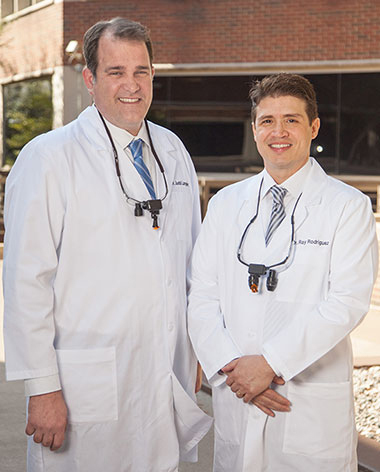 Dr. Rodriguez and Dr. Langley are prosthodontists—dental specialists in the aesthetic restoration and replacement of broken-down and missing teeth. They are also experts in the planning and execution of comprehensive, full-mouth treatment. Prosthodontists often act as the “quarterback” for a full-mouth rehabilitation. They can work with other dentists and specialists, directing the whole treatment. They are trained to treat any case, and to tailor each treatment plan to the exact needs of the patient. At Dental Design Specialists, you can receive a full-mouth rehabilitation from our skilled specialists in the comfort of our own office. If any extractions or oral surgery is needed, our doctors will bring in trusted local specialists to ensure that you receive the highest standard of care possible. Our doctors are known for their warm and friendly personalities. They are good listeners and they make sure their patients are kept well-informed and comfortable throughout their treatment. To make an appointment, call 972‑934‑8898 or click here to request an appointment online. Treatment is fully tailored to the individual needs of each patient. We will lay out a detailed, custom treatment plan for you. 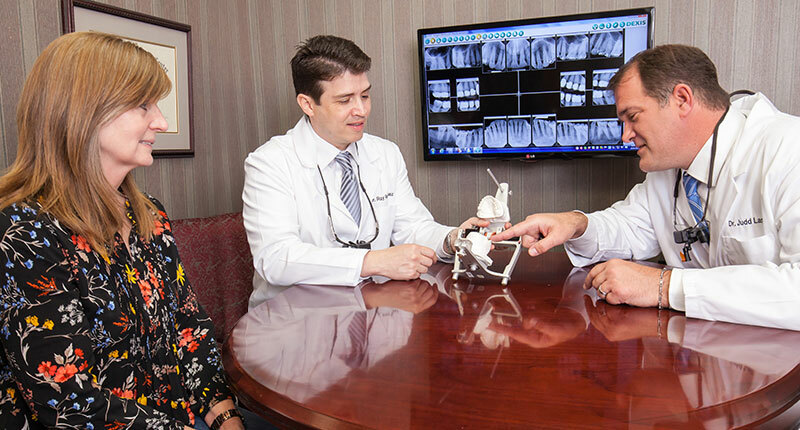 When planning a full-mouth rehabilitation, Dr. Rodriguez and Dr. Langley begin with the end result in mind—a mouth that is restored to its original, healthy state. They perform comprehensive diagnostics to get to the root of any oral health issues, and lay out a detailed, custom treatment plan. 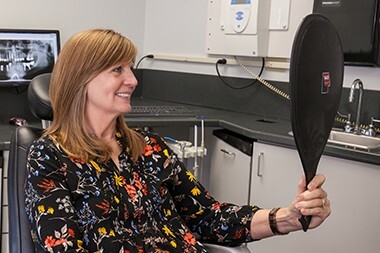 Treatment is fully tailored to the individual needs of each patient and can include such procedures as veneers, crowns, dental implants and implant-supported dentures. Our doctors take particular care to ensure that the treatment will result in a properly aligned bite. A well-aligned bite is an important part of oral health, and is the best guarantee that there will be no future issues with jaw joint pain or wear on the teeth due to incorrectly distributed forces. Your full-mouth rehabilitation treatment will also restore your chewing power, so that you can once again eat and enjoy all the foods you like. A beautiful, natural smile once again! 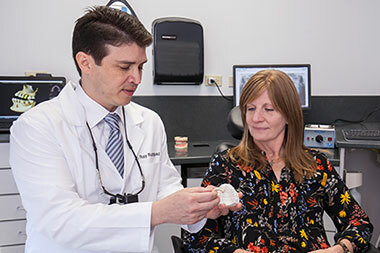 As part of their prosthodontic training, Dr. Rodriguez and Dr. Langley have received extensive instruction in the aesthetic aspects of restoring smiles. They will make sure that your new smile looks natural and that it complements your features. We ensure your comfort at all times. Our doctors are good listeners, and they explain all procedures beforehand so that you can feel at ease about your treatment. 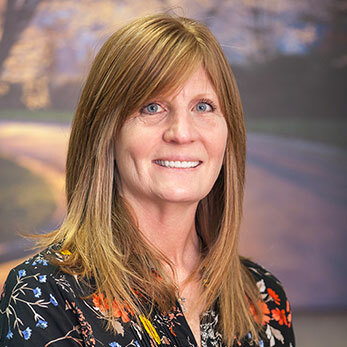 Our staff are warm and friendly, and they will make sure you are comfortable at all times during your visit. Our office has state-of-the-art treatment chairs with massage features, and we will offer you warm blankets and comfortable pillows. For patients who need extra help with anxiety at the dentist’s office, we have oral conscious sedation available (this is sedation in the form of a pill that has a relaxing effect). If you are receiving oral surgery, we also offer IV sedation. Having good dental health and an attractive smile can raise your quality of life noticeably. Having good dental health and an attractive smile can raise your quality of life noticeably. Studies have related poor dental health to issues such as heart disease and a compromised immune system. Additionally, poor dental function can limit the food you can eat, depriving you of the nutrition you need to maintain good health. Missing teeth left unreplaced lead to jawbone loss, and misaligned teeth can cause TMJ (jaw joint) problems. A full-mouth rehabilitation prevents these issues from occurring and gives you healthy oral function and a higher quality of life. Take advantage of our Complimentary Full-Mouth Rehabilitation Consultation offer to receive a detailed, extensive review of your treatment options from one of our experienced specialists. Give us a call and we will be happy to schedule your appointment.